I have to come clean here: making avocados into a smoothie seems a bit of a waste of a good avocado to me. 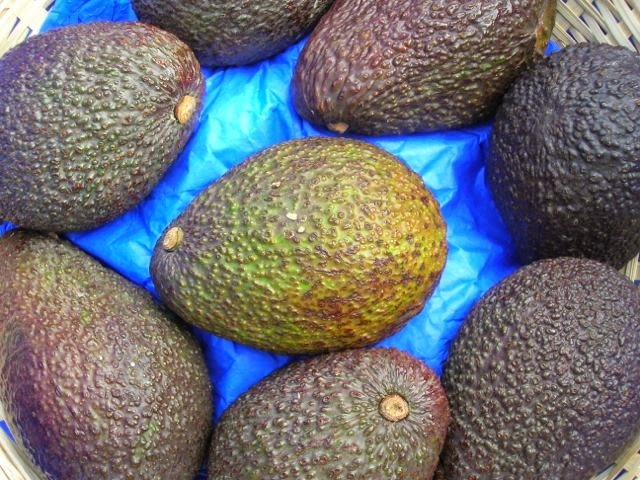 I love the texture and flavour of this princely fruit but actually like them best just as they are, on toast or with slices tossed into a salad or mashed up in guacamole or this avocado and egg dip. But when an octet of Peruvian avocados winged their way to me it seemed like an ideal time to experiment. Intuitively a dairy-free option seemed like the way to go. Ideally I would have used coconut water as the liquid, but I didn’t have any to hand. I had a look at coconut and almond milk options, but they were all full of sugar, vegetable fats and other additives. If only I’d read Janie’s post on making your own almond milk before going ahead, but I didn’t. In the end I resorted to a tin of coconut milk. To keep things as Peruvian as possible I used maca and raw cacao powder both grown in Peru. The maple syrup, oats and banana may have come from a different continent, but honour, I felt, had been served. Talking of serving, how did the smoothies turn out? Really rather well. Thick and creamy, rich and chocolatey, healthy too; we had them for breakfast and they kept us going for several hours. Result. A vegan friendly breakfast smoothie which is not only deliciously thick and chocolatey, but has plenty of nutritious ingredients. 1 tbsp raw Peruvian cacao powder from Indigo Herbs. 1. Cut the avocado in half, remove the stone and scoop out the flesh with a spoon. Place in a liquidiser together with the banana.2. Add the oats, maca, cacao, maple syrup and coconut milk.3. Add enough water to make the volume up to 1 litre and whizz for a few minutes until smooth.4. Pour into glasses and drink with gusto. I had an avocado smoothie yesterday. It was lime and coconut and avocado and it was stunning. So creamy. Your chocolate one looks amazing. I want. That sounds like a wonderful combination Dom – I used coconut, but really wanted coconut water. I don’t think I have stumbled across maca before, you do learn something new every day! I never really got into the whole smoothie thing but seeing lots of non dairy options is inspiring and I think I could manage it. I love avocado’s anyway and my Filipino neighbour has them as a sweet too, might have to dust off the blender and try your smoothie out! Smoothies are a great way of packing in lots of nutrients in a really delicious way Anne. There are plenty of dairy alternatives around now – my preferred one is coconut water, but it’s hard to get hold of. Thanks Cathy – it’s a good one. It does indeed GG – a most delicious and healthful smoothie. This sounds delicious, love that you added oats too. I generally add oats to smoothies Cheri, for a bit of added fibre and to thicken. Katie, it’s a fun combination to play around with. If I had a ready supply of avocados, I reckon I’d have them in all of my smoothies. Karen, I’d eat avocados every day if I could – love them. I would never have thought of putting an avocado into my smoothie – not until now that is! Haha, I like to be a little ahead of the game Heidi! Let me know if you try it and what you think of it. This sounds fantastic with fresh coconut milk. Fresh coconut milk would have been wonderful YC.